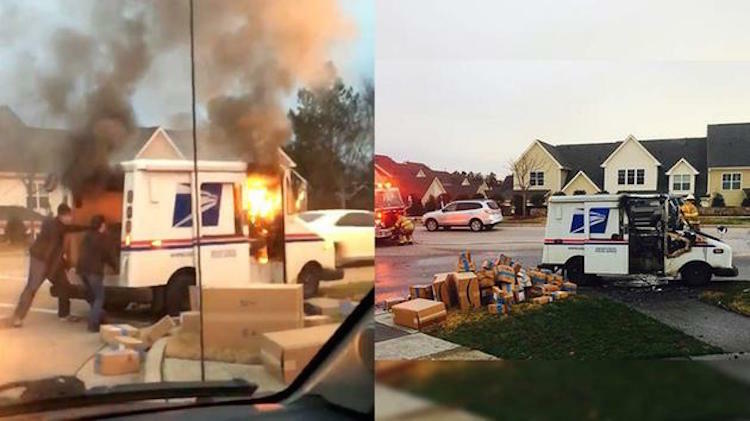 Even though her mail truck had ignited into a blaze, this fearless postal worker made sure that all the Christmas gifts in the rear were properly saved. The driver was reportedly driving the truck when her dashboard started to smoke, leading her to pull over. As the fire spread from the engine, the worker calmly started removing the packages from the vehicle. A bystander – after making sure that the mail woman was okay – joined in to help. Once local firefighters arrived on the scene, the flames were quickly extinguished. Only two packages were consumed in the blaze thanks to the worker’s quick-thinking. Since the rest of the packages were mostly products of Amazon, the online retailer issued a statement thanking the woman for her compassion. There’s nothing more heroic than risking one’s own health for the delivery of a happy Christmas.